James W. Skinner, Sr., beloved husband, father and grandfather went home to be with his Lord and Savior on Saturday, July 21, 2018. He was surrounded by his loving family. Dad just celebrated his 90th birthday. He was born on July 14, 1928 in Beatrice, AL but lived in Geneva, AL for most of his early life. He was an avid Alabama football fan. Roll Tide! 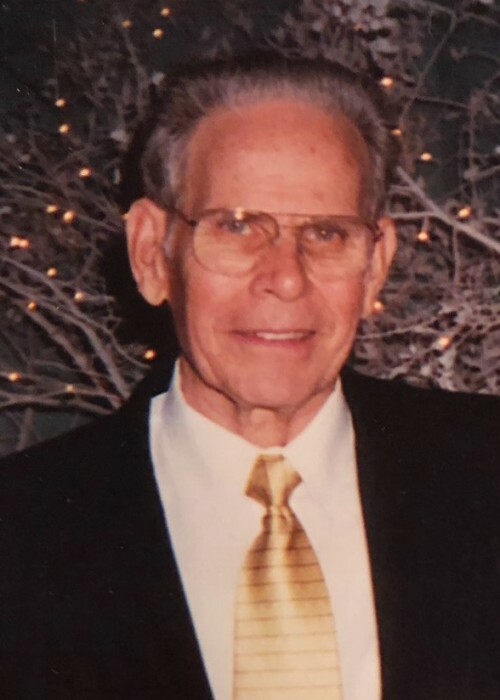 Dad was a devout Christian and long-standing member and deacon of First Baptist Church of Valparaiso and current member of First Baptist Church of Niceville. He was a faithful member of the men’s Good News Sunday School class for many years. He married his beloved Peggy on December 28, 1950 at the Methodist Church in Geneva. He and Peggy moved to Valparaiso in 1957 and purchased a small men’s clothing store. Skinner’s Fashions soon became a landmark and part of the community for many years. Mom and Dad loved to travel and were fortunate to have travelled throughout the world. Upon retirement, they continued their travel adventures throughout the United States and Canada pulling their Air-Stream along behind them. Dad enjoyed the great outdoors; a passion he passed along to his sons and grandson. He especially loved fly-fishing. He is survived by his son James W. Skinner, Jr. of Santa Rosa Beach, FL and granddaughter Ava Skinner of Baton Rouge, LA; his son and daughter-in-law Louis and Kendra Skinner of Niceville, FL and grandson, Blake Skinner of Niceville, FL; and many nieces & nephews. Dad is predeceased by his wife, Peggy Skinner; parents, David and Mattie Skinner; and sisters, Thelma Morris and Sara White. We would like to thank our wonderful church family & friends for their loving visits, overwhelming support and prayers during this past week, Dr. Wendell Blankenship for his love and personal care of Dad, the Twin Cities compassionate ER staff, R.N. Jeremy Morris for his kind words and reassuring support and the exceptional, loving nursing staff at Twin Cities Hospital. A Celebration of Life will be held at his home church, First Baptist Church of Niceville, 622 Bayshore Drive, on Tuesday, July 24, 2018. Visitation begins at 9:00AM followed by a 10:00AM service led by Rev. Ernest Walker. Burial will follow the service at Sunset Cemetery in Valparaiso. The family has requested no flowers, please. If you wish to make a memorial donation, please make your donation to the Florida Baptist Children’s Home.